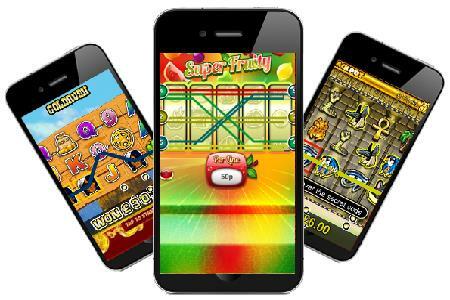 Those who enjoy mobile gambling will be pleased to hear that a brand new mobile casino has just gone live, Fruity King Mobile Casino. With great software from Probability PLC Games, this new mobile casino offers the latest and best in mobile gambling. There’s a new high quality mobile casino for gamblers on the go, Fruity King Mobile Casino is now live and offers a great selection of games. Fruity King Mobile Casino has got off to a great start by offering all new players £5 absolutely free. Players can then enjoy a series of deposit bonuses including a 100% bonus on their first deposit up to £150. Promotions extend beyond deposit bonuses to loyalty points, cash backs and a refer-a-friend bonus. The casino has a great selection of games. There are numerous slot games such as Mayan Moola, War Zone and Long John’s Silver. Additionally players can enjoy roulette, blackjack and bingo games starting every 3 minutes. Anyone with a mobile device can enjoy playing at Fruity King Mobile Casino. The software is compatible with iPhones, iPads, Android devices and a range of other smartphones and tablets. Players can be absolutely sure of Fruity King Mobile Casino’s reliability as it is licensed by The Gibraltar Gambling Commissioner. Furthermore, they have a dedicated support team contactable via phone and email.